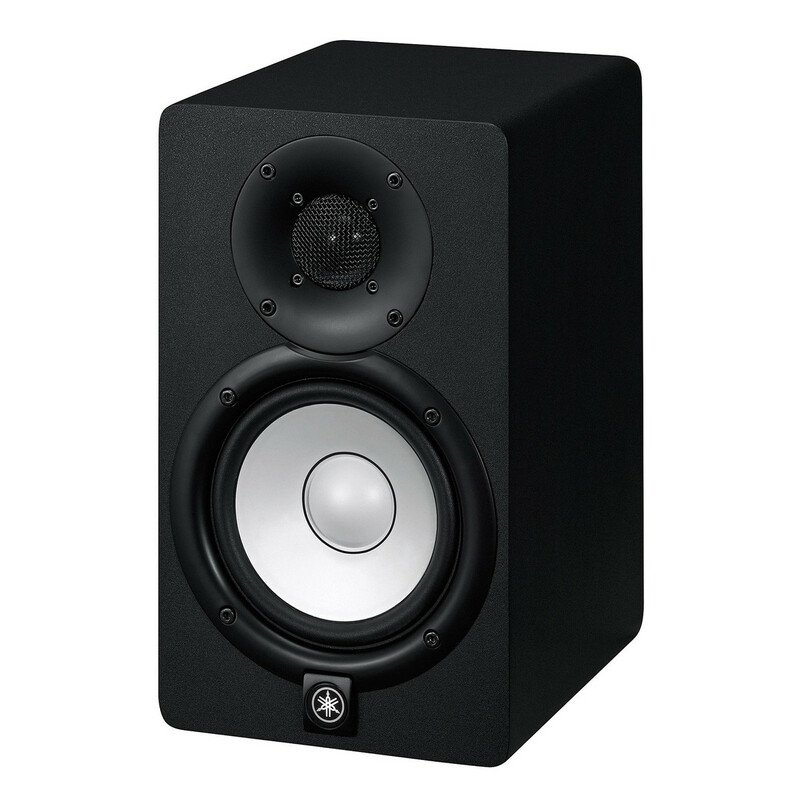 The Yamaha HS5 active nearfield studio monitor has a 5" cone woofer and a highly-efficient 1" dome tweeter for an extended high frequency range up to 30kHz. It is designed to ensure that the sound is true to the original, with a high resolution and flat response, to achieve the best possible mix. 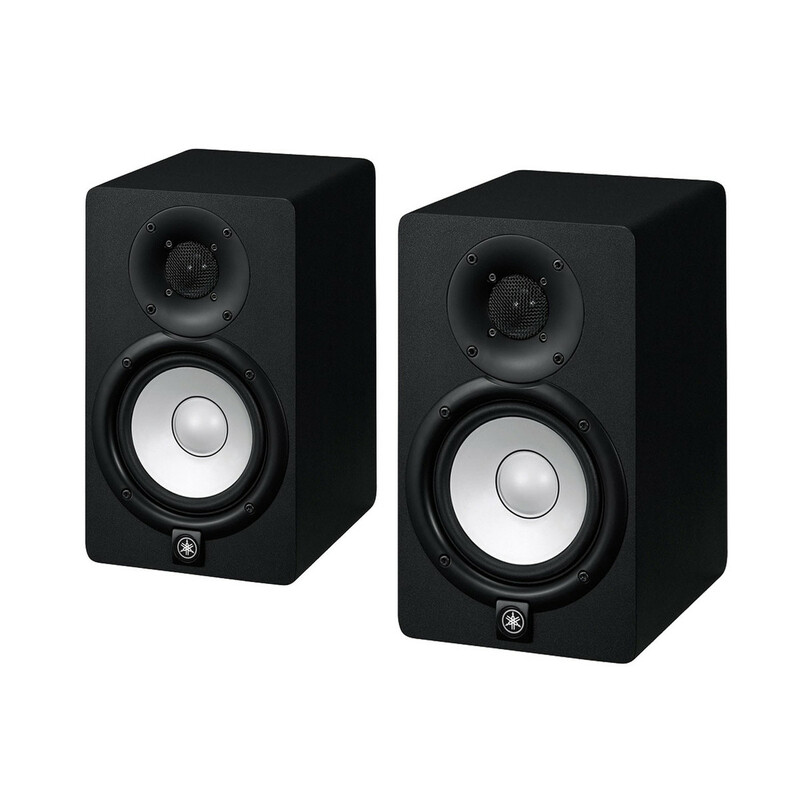 With no exaggerated bass or treble, you can be sure that if you get your mix to shine on the HS5, it will translate on any other speaker system, providing you that reliability you need. 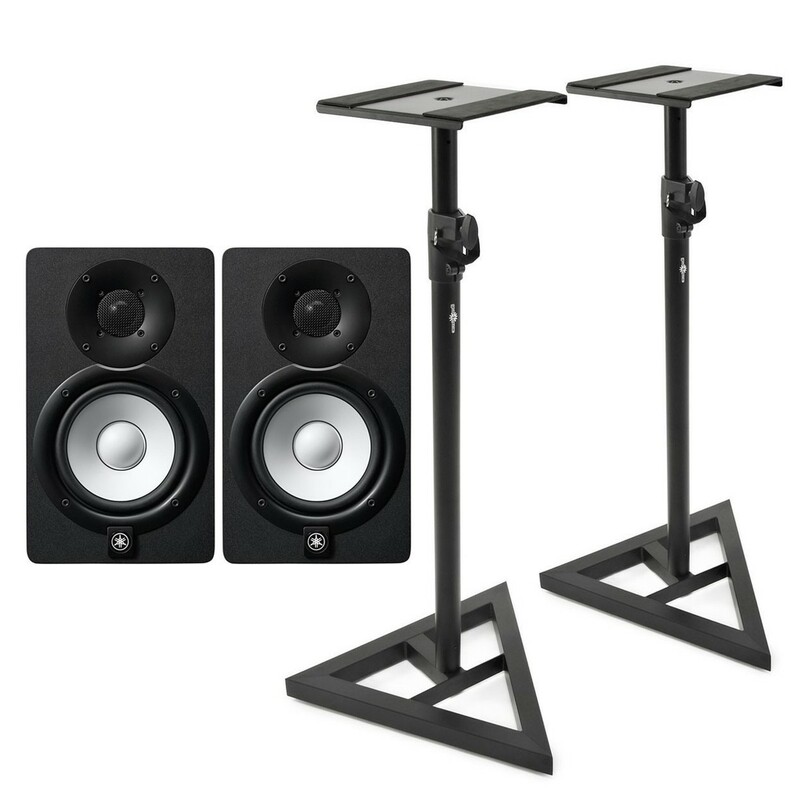 This bundle also includes a free pair of studio monitor stands. 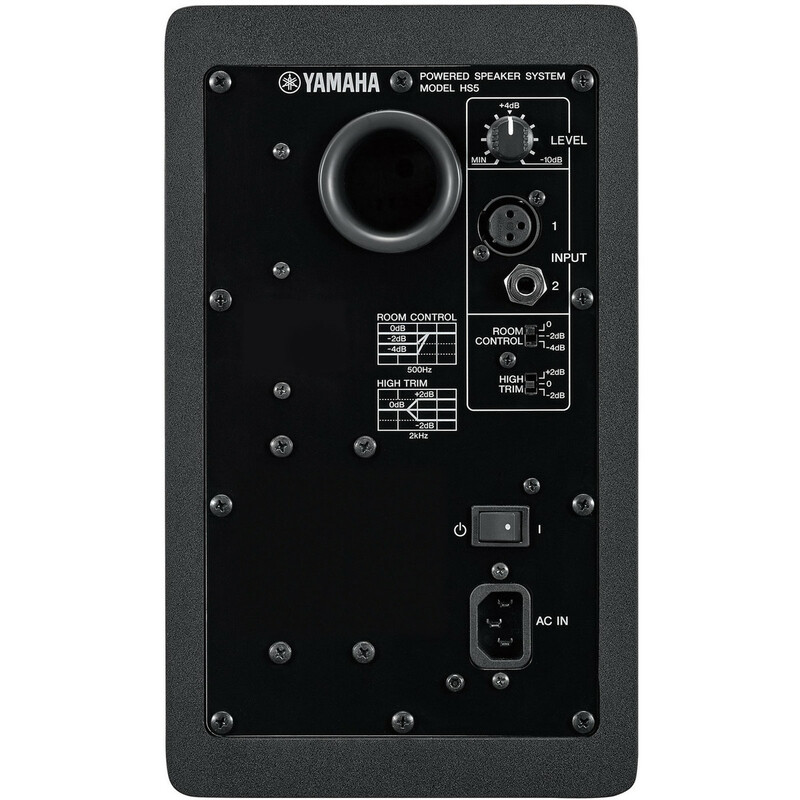 The Yamaha HS5 combines a wide range of premium-grade components including larger-than-normal magnets for optimal audio fidelity. The advanced magnetic field design ensures extreme accuracy when it comes to sound reproduction, paramount for mixing and mastering purposes. Its 2-way bi-amplified design is comprised of a 5-inch cone woofer and a 1-inch dome tweeter. The two components are powered separately by dedicated amplifiers for maximum efficiency. The woofer is driven a 45W amplifier, with the tweeter driven by a 25W amplifier. This ensures optimal audio performance even at higher sound levels. The ultra-wide frequency range and cutting-edge technology ensure you capture every nuance from your source audio, making it perfect for mixing and mastering purposes. The resulting sound is a highly defined low-end, with smooth highs, whilst retaining the natural harmonic content of your sound. The dome tweeter includes a thick wave guide to minimise vibration, providing smooth and distortion-free high-end response. The robust enclosure is designed to eliminate unwanted resonances for improved performance. 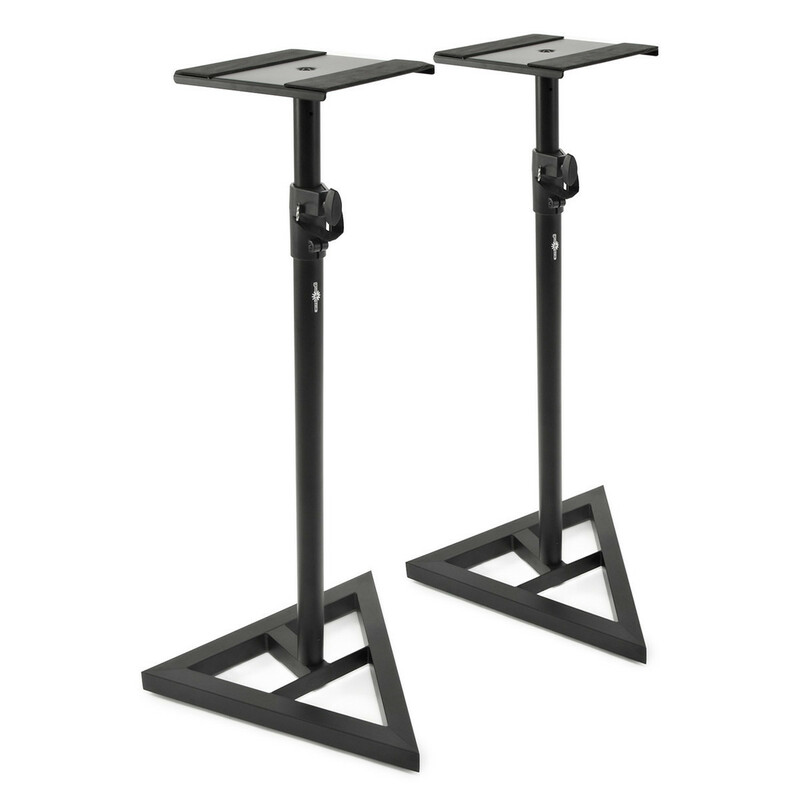 The design is built-to-last with an ergonomic layout on the rear of the monitor, for quick and easy control of your parameters. It also boasts XLR and TRS phone jack inputs, accepting both balanced or unbalanced signals, ideal for routing sound from an audio interface. 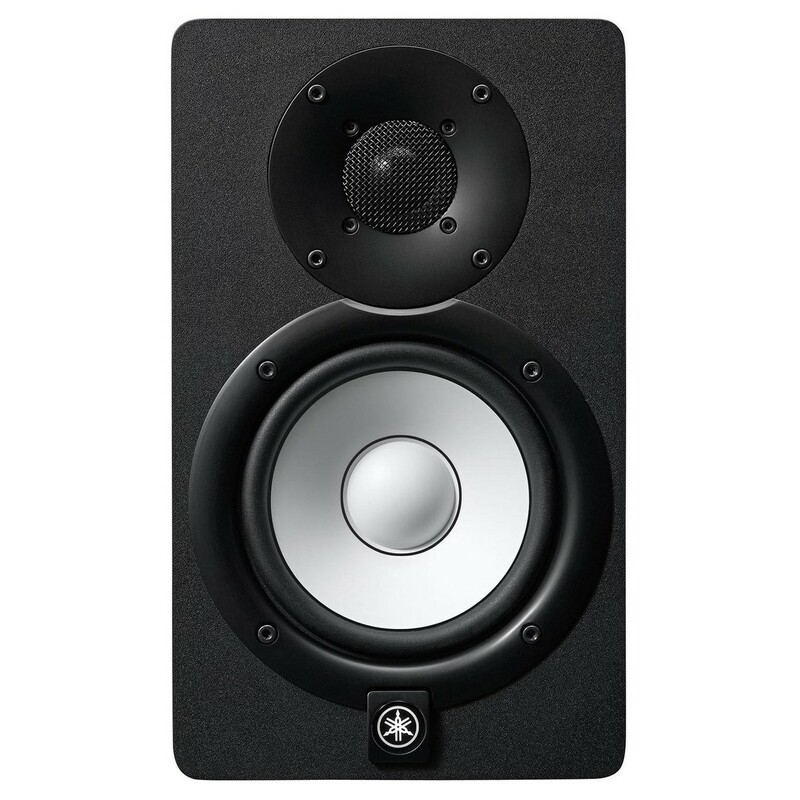 The rear of the studio monitor also features a main level attenuator, ranging from minimum to -10dB, ensuring optimal audio quality no matter the volume.